Read Now: Wagner At Home - Judith Gautier. 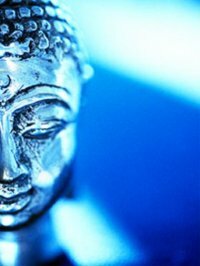 Video lecture: "Wagner and Buddhism"
What does it take to be Isolde? The origin of Tristan und Isolde lies not in Schopenhauer but Kleist? ‘In the evening, something from Kleist’s posthumous works (political catechism)’ CW: Diaries. Anyone unaware of the special place reserved for Switzerland in Richard Wagner’s life and the subtle set of influences the country brought to bear on his work need only reflect on his frequent sojourns in Geneva, his ten-year exile in Zurich and the six happy years he spent at Lake Lucerne. And so it would seem entirely appropriate that in the composer’s adopted country, the bicentenary of his birth should be an occasion for ambitious celebrations. The Wagner Geneva Festival 1813-2013, offering twenty events drawn from across the spectrum of artistic expression, including dance, theatre, painting and cinema will once again confirm the influence on art and ideas of the man responsible for the concept of Gesamtkunstwerk. 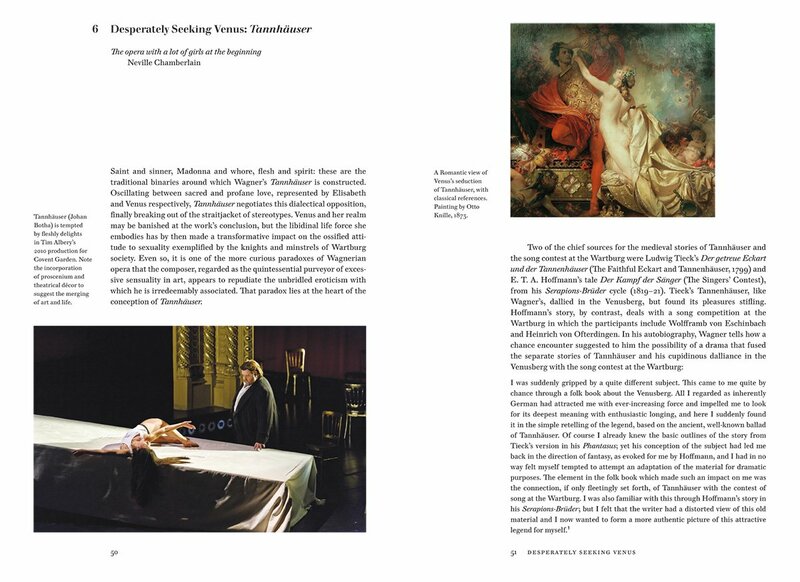 From the Martin Bodmer Foundation exhibit devoted to an intellectual biography of the composer to a stage production of Der Fliegende Holländer, delivered in its original (Paris) version, the Wagner Geneva Festival contribution to the bicentenary has its sights set on a portrait that is faithful yet full of contrast. LUCERNE FESTIVAL celebrates its 75th anniversary! In 1938 the Festival, which operated under the name of “Internationale Musikfestwochen Luzern” until 2000, originated with a legendary “Concert de Gala” led by Arturo Toscanini. The “Anniversary Summer” of 2013 will focus on the theme of “Revolution.” When Igor Stravinsky’s ballet “Le Sacre du Printemps” was premiered on 29 May 1913 in the Théâtre des Champs-Elysées in Paris, the archaic power of this music had a shocking impact. There was booing, whistling, and shouting – even outright fighting. Arguably the most memorable of scandalous premieres in the history of music, at the same time it has become a vibrant symbol for the early 20th century, for the overthrow, reversal, and reorientation of values in that era. Pera North is staging Wagner's epic Ring cycle over 4 years. This documentary follows the preparations for Die Walküre, the second part in the saga. Wotan is king of the gods, law-maker and father of nine warrior daughters (Valkyries) with the goddess of the Earth, Erda. 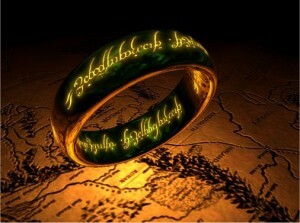 He tries to break the curse of the Ring of power by fathering a pure-of-heart hero by a mortal woman. But when the lives of Wotan's mortal off-spring are threatened, his plans to protect them are thwarted and his favourite daughter defies his will. Though Wotan still loves her dearly, he is forced to punish her severely. Conductor - RICHARD FARNES Concert Staging and Lighting/Projection Designer - PETER MUMFORD. In this interview, Keith speaks about his career, what inspired his production of Richard Wagner's masterwork and how he tackled such an ambitious work. He also spoke about the nature of hope at the climax. Recently, regular contributor Daniel Carroll reviewed Barry Millington's new Wagner book: The Sorcerer of Bayreuth: Richard Wagner, His Work, and His World. This was from an academic perspective and as always made excellent reading. However, we noted at that time that our editor - a noted dilettante - would provide a more general review later. This can be found below but should not be seen to replace Daniel's in anyway. Barry Millington's new book on the life and legacy of Richard Wagner is a strange work. 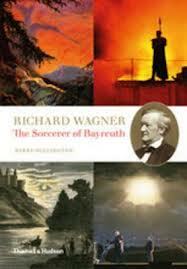 In many ways it is the book on Wagner studies that we have been waiting for - and is long overdue. This is especially so for those new to Wagner or with a less detailed knowledge of his work and times. At the same time, it contains a few strange eccentricities - and even omissions - that simply cause one to scratch one's head. Often I found myself nodding in agreement at Millington's fair mindedness and ability to deal evenly with some of the conflicting thought in recent, and not so recent, Wagner research (as one might expect from the editor of the Wagner Journal). This can go on for chapters and then suddenly, as if from nowhere, I found myself thinking; "Oh come now! This seems as biased as some of Wagner's own writing". And Wagner was a man who, when caught in the moment, often found it hard to see the weaknesses in his own arguments. It is clear that she became an "enthusiastic fan", not only attending the first Bayreuth Festival but spending much time with the Wagners. However, Gaultier was much more than a "muse" or "wagnerian" she was also a poet, novelist, feminist and Oriental scholar. Of especial interest to us is that not only did she translate Parsifal to French but she also wrote a first-hand account of her first two visits to the Wagner's Villa Tribschen. This was translated into english in 1911 and published by (in a rather ironic turn, considering what they went onto become) Mills and Boon. As London closes its Wagner 200 events, the interested UK (and international) "Ring Follower" need not worry as a further series of events of no less a quality will begin in the Cotswolds. Truncated details below. 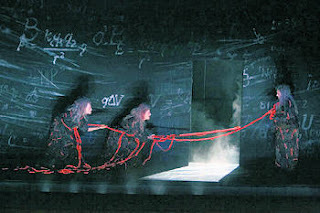 Each set of events will appear during the noted LFO Ring Cycle. For full details - and booking information - please visit "Inside The Ring" at the Wagner Society's website. The charismatic and celebrated British soprano coaches four young Wagner singers and gives a fascinating insight into the way singers must develop voice and character simultaneously in this demanding repertoire. This distinguished British singer shares his knowledge with the next generation of tenors. David Edwards and LFO singers explore the 11 year creative divide in the composition of the RING. 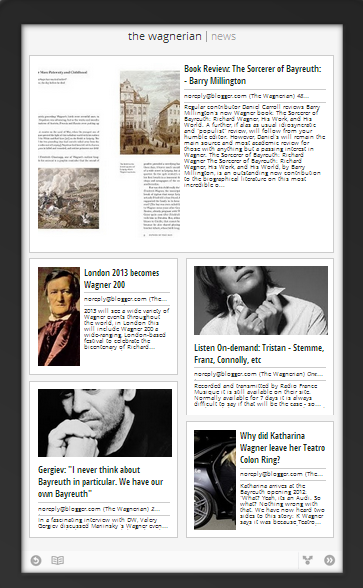 Full Details: "Inside The Ring" at the Wagner Society's website. Although she's dressed up to the nines"
It's not often - indeed never - that you would expect to find lyrics by Andrew Lloyd Webber here, but it just seemed so appropriate somehow. After a bizarre week - reported here in no little detail - it seems that Katharina Wagner and Teatro Colon, Buenos Aires have finally parted ways. No longer will K Wagner direct the reduced Ring Cycle that she has been talking about. with no little enthusiasm, for the past two years. Pedro Pablo García Caffi and Teatro Colon have dissolved Katharina Wagner's contract to produce their reduced Ring. It seems, according to Garcia Caffi, the theatre could not possibly meet her demands for rehearsal equipment, etc. However, both parties announced that the split was an amicable one. Despite this, Teatro Colon's "reduced Ring" will still premiere on the 27 November but now with Argentine Valentina Carrasco, who has worked for more than ten years as a director with the Catalan theatre group Fura dels Baus, at the helm. We are presently in the process of collecting as many of the "better" ones (well written, proof read, formated) as we can - and some of these have already been made available here. However, to make finding them within the site as easy as possible we have collated as many as we have available below. You need only click on the link and chose the book that you want and in the format that you require - where available. We shall add to this as we can. Alberic Magnard: The French Wagner, Bruckner, Mahler or something else? 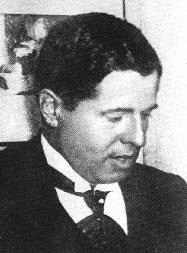 Magnard, for those that know him (and for some unknown reason that is too few) he has been called all of the above - or in the case of Mahler, a composer who at least "predicted" him. 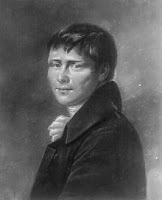 A Frenchman (son of François Magnard, a bestselling author and editor of Le Figaro) who fell in love with Wagner after a visit to Bayreuth (which caused him to give up law to study music). He studied four years with Vincent d'Indy, began to lose his hearing in his latter years and died having been burned to death alone in his house after shooting and killing two German soldiers during WW1. Magnard, a composer of a "Wagnerian" opera that ends not in redemption but failure and the knowledge that humanity can only be "redeemed" as whole - and only once they all truly seek it. There is so much one might say about Magnard (and the curious reader can find out more by following the links below) But why not listen to some of his music below and decide whether he is worth pursuing? Although, we do include below a review from Gramophone written in 1988 examining his only recorded opera: GUERCOEUR. Readers may have realised by now that our taste in performances can be on occasion "idiosyncratic". This is probably no more so than in Ring Cycles. 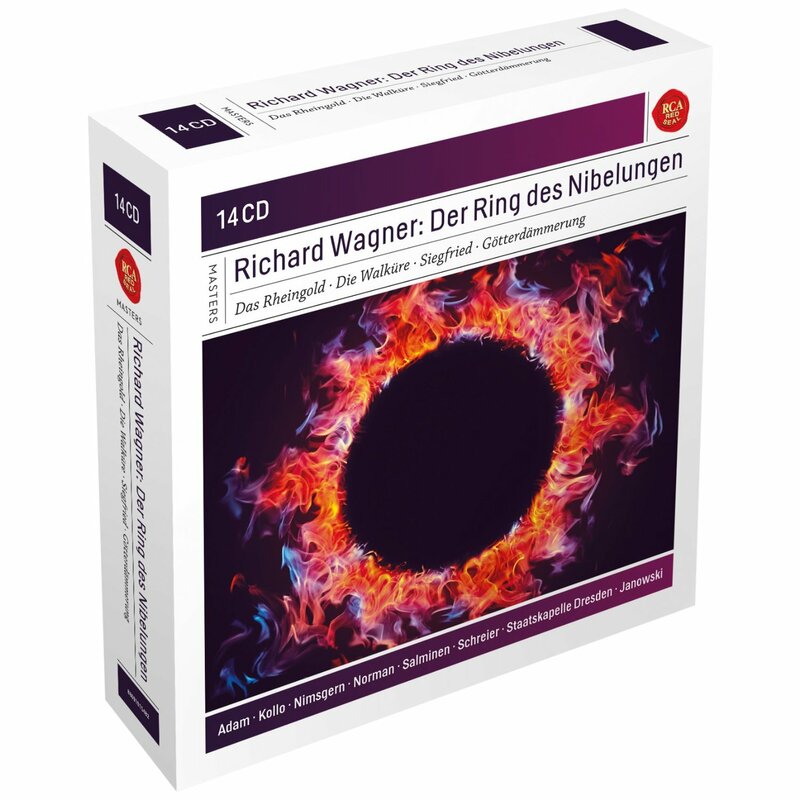 While we must admit to owning we think, every Ring Cycle recorded - and several not - one of the studio recordings (live recordings are another matter) that we return to frequently is Janowski's 1983 studio recording - the first digitally recorded Ring. "My greatest masterpiece in the art of the most delicate and gradual transition is without doubt the great scene in the second act of Tristan and Isolde. The opening of this scene presents a life overflowing with all the most violent emotions - its ending the most solemn and heartfelt longing for death. These are the pillars: and now you see, child, how I have joined these pillars together, and how the one of them leads over into the other. This, after all is the secret of my musical form, which, in its unity and clarity over an expanse that encompasses every detail, I may be bold enough to claim has never before been dreamt of." Others of course have understood this, Karajan comes to mind in particular, but, in our opinion it is possible to lose some of the "passion" or "drive" in Wagner while trying to maintain these transitions to closely - Janowski does not make this mistake. He seems to understand Wagner's notion of "transitions" but is nevertheless not slave to them like some. But perhaps this is what Wagner wanted? (At the other end of the spectrum, and at the risk of upsetting a number of readers, Solti is considered by some to have the least understanding of this process - in his studio Ring at least. Although this does mean, again to us, that he has individual moments of sheer genius that are unforgettable). "Two principal motives of my myth therefore remain to be represented, both of which are hinted at in "Young Siegfried", the first in the long narrative of Brynhild after her awakening (Act III. ), the second in the scene between Alberich and the Wanderer in the second act and between the Wanderer and Mime in the first. That to this I was led not only by artistic reflection, but by the splendid and, for the purpose of representation, extremely rich material of these motives, you will readily understand when you consider the subject more closely. We have added The Wagnerian to the Google Android/Apple App "Google Currents" - See images below. This should allow users of any of these devices to view The Wagnerian in a way best optimized for their various devices - plus everyone seems to have an "app" nowadays. As always, these remain "advert free" and free to use - at least our little part of it..
For more information on Google Currents please visit here: Google Currents. You can also download the app (free) from there or find it at either the Google or Apple App Store - again for free. Once you have downloaded it you will need to "subscribe" to The Wagnerian within it. 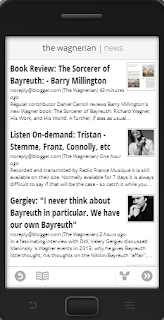 You can do this by either searching within the App using the terms "The Wagnerian" or alternatively by clicking this link which will automatically subscribe you to the "stream" once you have the app: Subscribe To The Wagnerian in Google Currents. 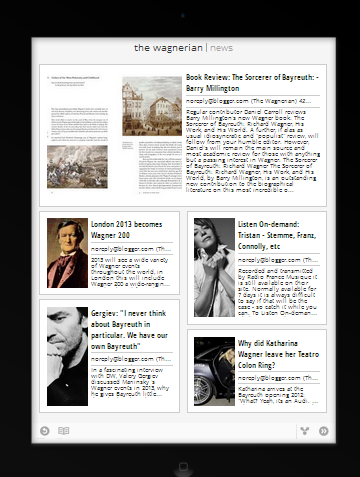 It is a work in progress at the moment and we shall add more pages and functionality - time and interest permitting. Regular contributor Daniel Carroll reviews Barry Millington's new Wagner book: The Sorcerer of Bayreuth: Richard Wagner, His Work, and His World. A further, if alas as usual idiosyncratic and "populist" review, will follow from your humble editor. However, Daniel's will remain the main source and most academic review for those with anything but a passing interest in Wagner. 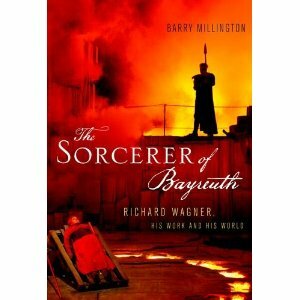 The Sorcerer of Bayreuth: Richard Wagner, His Work, and His World, by Barry Millington, is an outstanding new contribution to the biographical literature on this most incredible of composers— highly innovative in his theoretical conceptions, profoundly influential in their practice, and almost distressingly protean in disposition. All of these characteristics have been presented in previous products of Wagner biography. However, in consideration of these, Millington certainly set himself a formidable challenge to do what much of the literature does not, namely, not only to procure significant historical information about his life, including key dates, locations, and events, but to present the information pertaining to the specific technicalities of his musical-theatrical platform and especially the often prohibitively complex philosophical formulations to which he subscribed in a readily accessible manner. (Bryan Magee’s The Tristan Chord: Wagner and Philosophy is another excellent source in this regard.) 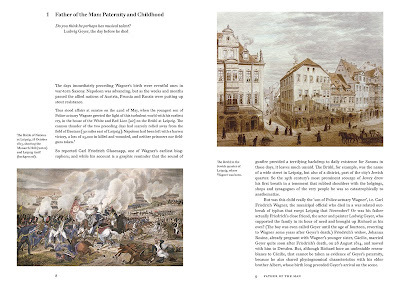 In this clear, straight-forward, and exhaustively researched text, featuring beautiful color illustrations of key people and places in the continuing Wagner story, which are certainly a novelty in the academic literature on the composer, Millington accomplishes these objectives handsomely. Millington presents with great detail and occasional humor Wagner’s highly erratic and confusing psychological profile. From his obsessions with the macabre and grotesque which were given expression in his gruesome Leubald und Adelaide in which forty-two people are killed and resurrected as ghosts (p. 15), to his bitterly painful resentment for the rejections of his theatrical reforms by the contemporary theatres, which caused him to declare his unreserved “contempt” for them (p. 38), an astonishing and perplexing mind emerges. It was certainly one full of abhorrently inflated delusions of grandeur, as evidenced by the insurmountable debts that he incurred to fulfill his every personal and artistic whim, grandiloquent expositions of his theatrical revolution and its vital and urgent necessity, and the rampant anti-Semitic components of his works as well as his personal worldviews. 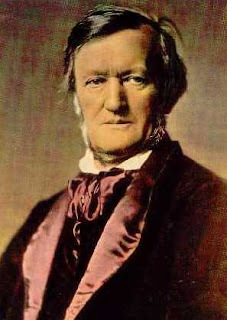 The philosophical affinities which Wagner cultivated, such as those with Feuerbach (p. 96-97) and Schopenhauer (p. 166-170) and their influences upon his musical-theatrical conceptions are presented with admirable clarity. New insights as to the influences of Bülow’s Nirwana, a work inspired by the Buddhist/Schopenhauerian perspectives on life and death, on Wagner’s Tristan und Isolde are herein given (p. 198). Millington also exposes the suicidal nature of not only Richard Wagner, but Cosima also, as well as Ritter and Bülow, thus indicating how Wagner seemed to be in the company of those similarly psychologically inclined if not philosophically as well (p. 197-198). Millington offers some very new and intriguing information on not only the composer, but the institutions dedicated to him. Evidently, the collective of Wagner Societies which now exist the world over were initially established in Munich so as to raise funds for the ambitious enterprises at Bayreuth. It thus becomes apparent how they can not be perceived merely as “fan clubs,” but as entities which strove to make Wagner’s dreams come to fruition (p. 225). Millington also uncovers writings of Wagner which indicate the composer’s sympathy for the plights of domestic womanhood and, tellingly for our present era, his criticisms of “traditional marriages” and their capitalistic and proprietary nature (p. 243). 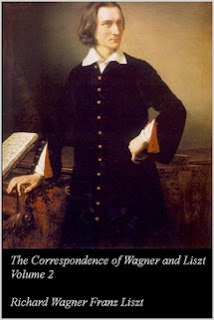 The lore over Wagner’s final day, including multiple different accounts of the actual scene of his death including who was present, what was said, and how he was “disposed of” are also included (p. 244-245). 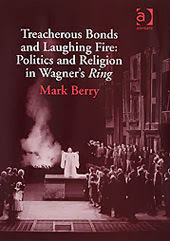 1 See my recent paper, “Hurn and Root’s The Truth About Wagner: Revisiting a Controversial Book After Eighty Years,” on “The Wagnerian” website for information on the dubiousness of the claim that Geyer was his biological father. 2 See the paper on Hurn and Root’s book mentioned above. Daniel John Carroll is a graduate student and teaching assistant in the Department of Musicology and Ethnomusicology at Boston University. 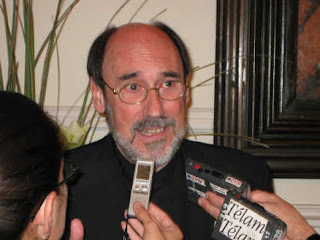 He has presented scholarly papers at academic conferences on philosophy and music (including the College Music Society and American Musicological Society) throughout the United States and Canada. His academic work has been published in The New Grove Dictionary of American Music and several conference proceedings. Non-academic writings include articles for Pulse, the arts, entertainment, and culture section of the Moscow-Pullman Daily News in Moscow, Idaho and The Public Humanist. Recorded and transmitted by Radio France Musique it is still available on their site. Normally available for 7 days it is always difficult to say if that will be the case - so catch it while you can. 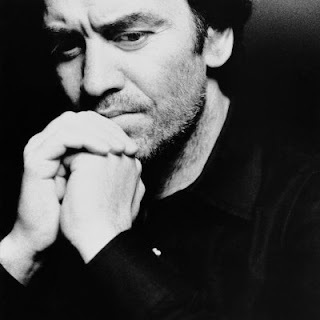 Gergiev: "I never think about Bayreuth in particular. We have our own Bayreuth"
DW: What can we expect in the Mariinsky Theater during the Wagner anniversary year of 2013? Valery Gergiev: Wagner's trip to Russia in 1863, during which he gave six concerts in Moscow and St. Petersburg, has not been forgotten. Russian opera lovers were thrilled with the music - including members of the tsar's family. Wagner was offered the post that I now occupy: St. Petersburg's general music director. Very few people know this, but he said yes. However, shortly after he left Russia, he received an incredible offer from King Ludwig of Bavaria. Bad luck for us. 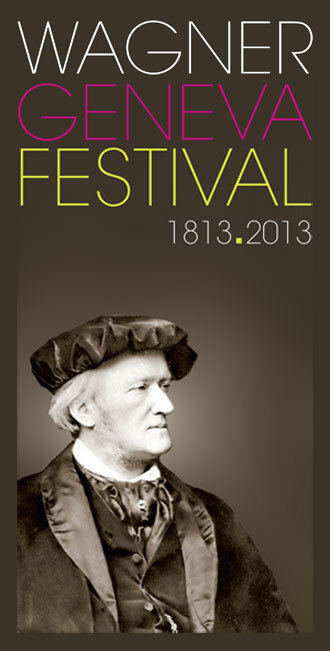 2013 will see a wide variety of Wagner events throughout the world, in London this will include Wagner 200 a wide-ranging, London-based festival to celebrate the bicentenary of Richard Wagner’s birth. It opens on 22 May 2013 with a Wagner Birthday Concert by the Philharmonia and a stellar cast under Sir Andrew Davis at the Royal Festival Hall. It continues with further concerts, screenings of opera performances, public masterclasses, symposia, a curated film season, an exhibition and much more, at leading venues including the Royal Opera House, English National Opera, the Barbican, Royal Albert Hall and Kings Place. Barry Millington and Mark Eynon, co-directors of Wagner 200, will be announcing the full programme of events later this year. 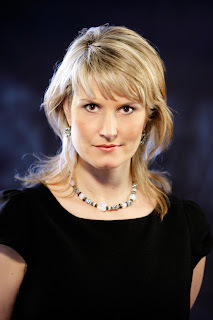 Why did Katharina Wagner leave her Teatro Colon Ring? We have now heard two sides to this story: K Wagner says it was because Teatro Colon, was not ready, per her contract to begin rehearsals; the theatre director , Pedro Pablo Garcia Caffi, slammed a door on her and has not responded to her emails. García Caffi, on the other hand says he doesn't know what she is talking about. That the theatre is ready, that she never mentioned any thing to him and indeed thought she was only flying back to Germany briefly to sort out some business or other. The first he heard about any difficulties was reading newspaper reports. It is of course difficult to suggest exactly what might be the reason or who is to "blame. On a completely unrelated note, over at the Frankfurter Allgemeine Zeitung journalist Öhrlein Josef points out that not being able to rehearse and direct her Teatro Colon Ring cycle might be a very good thing - for her. For those unaware, he reminds us that she has agreed to direct Audi's "50 years of culture at Audi" at their factory in Ingolstadt on November 11 this year. This is a prestigious and important event, especially so for Bayreuth - Audio is after all the Festival sponsor As K Wagner said recently, "When Audi asked me to stage an anniversary program, I did not hesitate. Rarely do you have the opportunity to work with artists from all areas in such an unusual environment," This was of course after agreeing to the Teatro Colon, engagement. Director of Teatro Colón responds to Katharina Wagner's "walkout"
popped out for a pint of milk!" 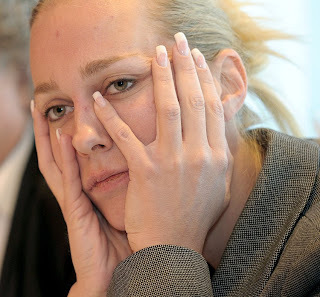 As previously reported Katharina Wagner arrived at the Teatro Colon, Buenos Aires on Tuesday, decided things were not ready and returned the someday to Bayreuth - putting the future of the the Ring Project in jeopardy. According to her, when she raised concerns that the theatre was not ready for rehearsal, per her contract, theatre director Pedro Pablo García Caffi simply walked out slamming the door behind him and has not returned her calls or emails. Now, in a further twist to what is becoming a very strange story, García Caffi, has said today he has no idea what she is talking about and only thought she was returning to Germany on business and make further preparations. The first time that he heard she might not becoming back was when he read the papers. He says that the theatre is ready per their contract and that rumors circulating in the press that K Wagner has been replaced as director are untrue. "She is contracted to do so" he says. So she will be returning he was asked? "I suppose so" Suppose so? Well, he admitted being a little unsure now after what he read in the press! Video: An introduction to Tristan und Isolde - with Jeanne-Michèle Charbonnet. A collaboration between the Santa Fe Concert Association and the Wagner Society of Santa Fe with special guest, soprano Jeanne-Michèle Charbonnet. If you have not managed to catch Lepage's "controversial" Ring Cycle yet - either live, at the cinema, on DVD or on TV - you can now do so via another source: The Met's online Opera on Demand service. Relayed in HD it will be available from October 30th. Alas, this is not for free. To watch you have a number of options: you can either "rent" each production for 30 days for $3.99 per drama or take out a subscription to their entire available opera - in video and audio. Of course, if you have not previously subscribed either monthly or yearly to the MET's online streaming service you could watch the entire cycle for free - as they offer a 7 day free trial. Wagner's Dream, - the documentary of the making of Lepage's Ring is already available. 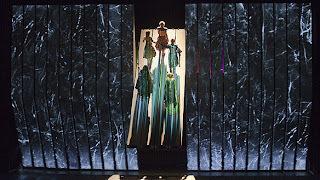 For more visit: MET Opera On Demand. As Wagner arrives back in Bayreuth after only one day in Argentina she tells reporters: "Bayreuth will do me well enough". We had not reported on this over the last few days as there has been slightly conflicting reports, however an interview with Katharina Wagner today may have clarified things a little. As you are probably aware, a "new" "reduced Ring cycle (running at 7 hours) is planned to take place in the Teatro Colon, Buenos Aires, beginning on the 27th November. Katharina Wagner was to direct. However, after spending only one day in Buenos Aires, she has flown straight home. So, what happened exactly? ( and translated in our usual idiosyncratic manner)? "I showed up on time with my team on Tuesday for the start of rehearsals in the Teatro Colon, and there just was not anything there - as had been agreed in advance. There was almost no rehearsal stage setup. The costume and the makeup department had not even begun their work. Assistants and some singers were missing. And it was clear that all of this would not even be there in two days. Therefore, we flow straight home. Bayreuth will do me well enough". So, you have cancelled then, as the press has stated? "We have certainly not cancelled. These press releases were false. On the contrary. We told the director, we want to work and fulfil our contract. If the conditions are provided which allow us to continue we can return within 48 hours and start work." So, what did the Teatro Colon's artistic director say when you told him you were unhappy with the conditions? "He said little. He asked if I was ready, that I could begin to rehearse without all of the props, artists and rehearsal staging." He then left the room, slamming the door. We sat and waited, because we thought he would return and make some suggestions but he did not. When we returned to Germany, I wrote to him via email and told him that I want to fulfil the contract and that he should tell me when we can come back. So far he has not responded." From Rehersals: Lohengrin, 2012. San Francisco Opera Orchestra and Chorus conducted by Nicola Luisotti. SAN FRANCISCO (October 15, 2012)—San Francisco Opera presents Richard Wagner’s Lohengrin at the War Memorial Opera House, opening on October 20 with six subsequent performances through November 9. American tenor Brandon Jovanovich sings the title role opposite Finnish soprano Camilla Nylund, appearing as Elsa von Brabant. Also appearing in this new-to-San Francisco Opera production, which was designed by Robert Innes Hopkins and is directed by Daniel Slater, are veteran Wagnerians Petra Lang as Ortrud, Gerd Grochowski as Friedrich von Telramund and Kristinn Sigmundsson as Heinrich der Vogler, as well as Brian Mulligan as the King’s Herald. Following his great success as Siegmund in San Francisco Opera’s most recent Die Walküre, American tenor Brandon Jovanovich returns to the Company to make his title role debut in Wagner’s Lohengrin. Of his appearance in 2011’s Der Ring Des Nibelungen, the San Francisco Chronicle called Jovanovich a “first-rate Wagner tenor.” Other recent appearances with the Company include Pinkerton in Madama Butterfly (2007), Luigi in Il Tabarro (2009) and Froh in 2011’s Das Rheingold. Later this season the tenor will appear as Pinkerton with Los Angeles Opera, Des Grieux in Manon Lescaut in Brussels and Sergey in Lady Macbeth of Mtsensk in Zurich. Appearing as the noble warrior’s bride, Elsa von Brabant, is Camilla Nylund. The Finnish soprano makes her San Francisco Opera debut in a role she has previously performed in Budapest, Dresden, Vienna, and Cologne. Recent career highlights include Rosalinde in Die Fledermaus and the title roles of Salome, Ariadne auf Naxos, and Arabella with the Vienna State Opera; Elisabeth in Tannhäuser at the Bayreuth Festival, San Diego Opera, Berlin State Opera, and in Cologne; and Salome with Paris Opera and in Valencia, Toulouse, and Cologne. 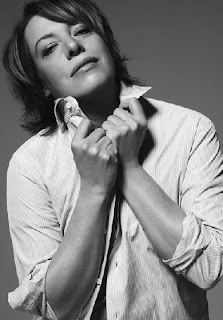 Mezzo-soprano Petra Lang appears as Ortrud, a role she has previously sung in Berlin, Budapest, Bucharest, Vienna, Geneva, London, and Edinburgh; she will reprise the role later this season at the Bayreuth Festival. 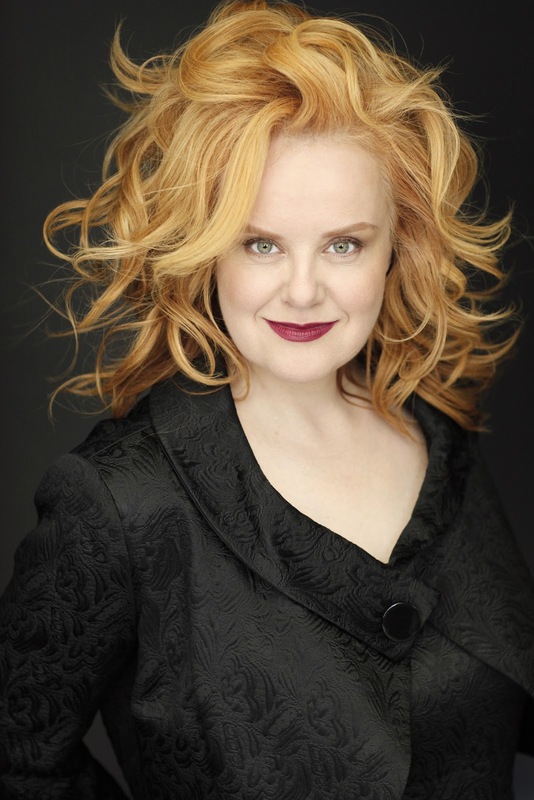 The noted Wagnerian made her San Francisco Opera debut as Venus in 2007’s Tannhäuser, a role she has also sung at Milan’s La Scala, Deutsche Oper Berlin and Baltimore Opera. German bass-baritone Gerd Grochowski made his San Francisco Opera debut as Jaroslav Prus in 2010’s The Makropulos Case and returned as Donner and Gunther in the 2011 Ring cycle. He appears in this production as Friedrich von Telramund, a role he has also sung in Tokyo, Berlin and London. Kristinn Sigmundsson returns to San Francisco Opera as Heinrich der Vogler, a role he has previously performed in Munich, Berlin and Madrid. The bass made his San Francisco Opera debut as Méphistophélès in the 2002 production of La Damnation de Faust and has since returned to the Company as King Marke in Tristan und Isolde, Sparafucile in Rigoletto, the Commendatore in Don Giovanni, Baron Ochs in Der Rosenkavalier and most recently, Sarastro in The Magic Flute. Baritone Brian Mulligan returns to San Francisco Opera in his role debut as the King's Herald. Mulligan garnered wide acclaim last season for his portrayal of Richard Nixon in John Adams' Nixon in China. His recent San Francisco Opera appearances include Valentin (Faust), Albert (Werther), Ragueneau (Cyrano de Bergerac) and Sharpless (Madama Butterfly), all in 2010. Other notable engagements include Valentin at the Metropolitan Opera; Enrico (Lucia di Lammermoor) at the Lyric Opera of Chicago and Washington National Opera, and the title role of Adams’s The Death of Klinghoffer with Opera Theater of St. Louis. Music Director Nicola Luisotti conducts his first Wagner opera of his career, and British stage director Daniel Slater directs this co-production of Houston Grand Opera and Grand Théâtre de Genève. Slater previously directed San Francisco Opera’s 2004 production of Janácek’s The Cunning Little Vixen. This production of Lohengrin, designed by Robert Innes Hopkins, is set in a post-World War Two Eastern Bloc state and updates Wagner’s mythical story for a contemporary audience. San Francisco Opera Guild will present an Insight Panel Discussion featuring members of the cast and production team from Lohengrin. The discussion will take place on Monday, October 15 at 6 p.m. in the Green Room at the War Memorial Veterans Building (401 Van Ness Avenue). Insight panels are free for Opera members and $5 for the general public; tickets can be purchased at the door 30 minutes prior to the discussion. Sung in German with English supertitles, the seven performances of Lohengrin are scheduled for October 20 (7 p.m.), October 24 (7 p.m.), October 28 (1 p.m.), October 31 (7 p.m.), November 3 (7 p.m.), November 6 (7 p.m.), and November 9 (7 p.m.), 2012. Continuing their Ring Cycle and a new production of Albert Herring. Full details below. Three productions close a full year of new productions in the 2012/13 Season, from Don Giovanni, Faust and The Makropulos Case to Otello, La clemenza di Tito and a double-bill of Poulenc’s La voix humaine and Purcell’s Dido and Aeneas in the new year. The new productions announced for Spring 2013 begin in April with Handel’s mighty oratorio, Joshua, at Leeds Grand Theatre. Depicting the Old Testament story of Joshua, as he leads the Israelites in conquest of Canaan, this dramatic oratorio demonstrates Handel’s skill as an opera composer in its highly theatrical and strongly characterised score. Daniel Norman (Joshua) and Fflur Wyn (Achsah) lead a cast directed by Charles Edwards. A new production of Benjamin Britten’s chamber comedy, Albert Herring, will be staged in the intimate space of the Howard Assembly Room in May. Albert Herring is directed by Giles Havergal (The Merry Widow, 2010), with set and costume design by Leslie Travers (Giulio Cesare, 2012). Casting includes the return to Opera North of Dame Josephine Barstow as Lady Billows, Alexander Sprague as Albert, and Joseph Shovelton as Mr Upfold. 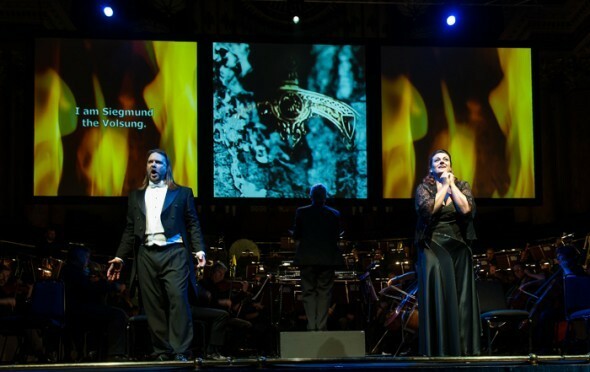 Conducted by Music Director Richard Farnes, the next thrilling instalment of Wagner’s Ring Cycle, Siegfried, will première at Leeds Town Hall in June before travelling to The Sage Gateshead, Symphony Hall, Birmingham and The Lowry, Salford Quays. 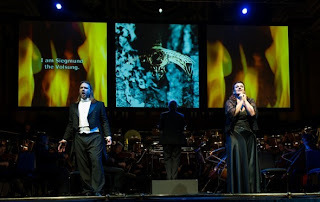 Annalena Persson (Die Walküre, 2012) returns as Brünnhilde, while Estonian tenor Mati Turi sings the heroic title role. 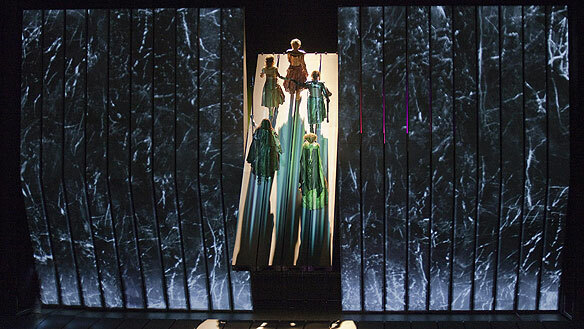 The upcoming 2013/14 Season will now open with a ‘Festival of Britten’ in September 2013 and will close with the final part of Opera North’s four-year Ring Cycle, Götterdämmerung, in June 2014. Full details of the 2013/14 season will be announced in February 2013. General booking for Joshua, Albert Herring and Siegfried will go on sale on 17 December. Recorded last year as part of the SF Ring Cycle. Includes former Buddhist monk and author of Redeemer Reborn: Parsifal as the Fifth Opera of Wagner's Ring Paul Schofield and Wagner lecturer Peter Bassett. Presented as a youtube playlist below. Total running time around 80 minutes.